When you ask an automobile enthusiast about his/her childhood, you'll find one thing common; every single one of them at one point in time will have surrounded themselves with cars in some manner. 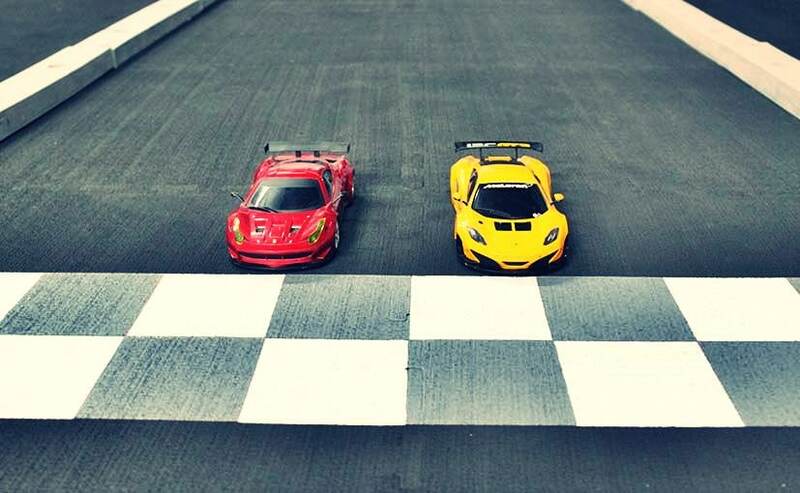 It could either be a flashy set of Hot Wheels, stylish scale models or cool RC (Radio Controlled) Cars. Heck! some of them are still building their collection one car at a time. It's a mystifying craze that left many of us short on our pocket money. Despite all that, there comes a point when many realise that these are mere hobbies and nothing more. At the same time there are a few who refuse to believe so and make these so called 'Toys' their life. Yes, I belong to that category and it didn't take time to find a few more like me. 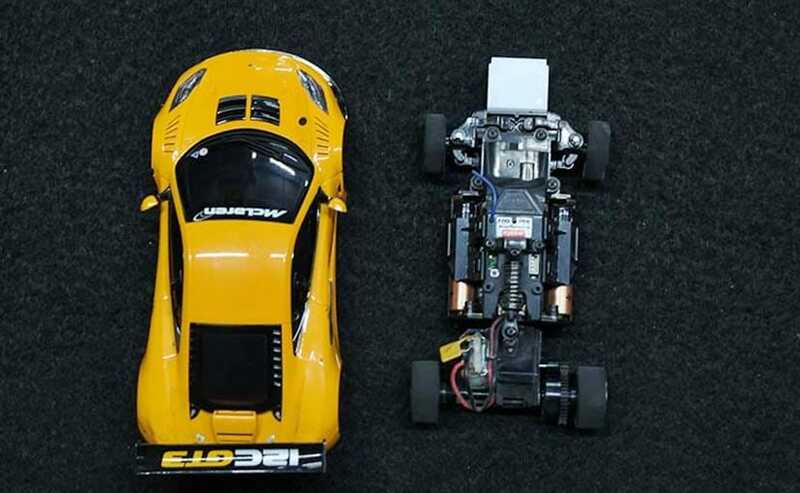 Ashwin Fernandes and Karan Khatri, two youngsters from Mumbai have turned their passion for RC Cars into their life. 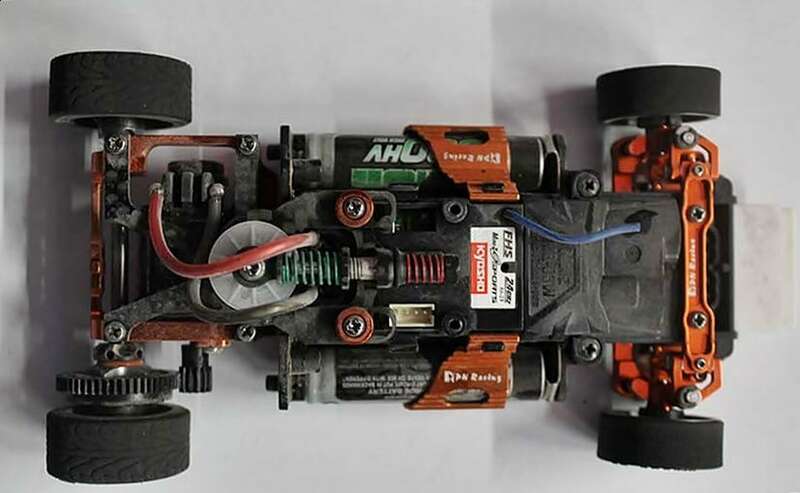 The young duo, who are head over heels in love with RC Cars and RC Car racing, are owners of India's first world championship grade RC car racing track - RC X Racing. 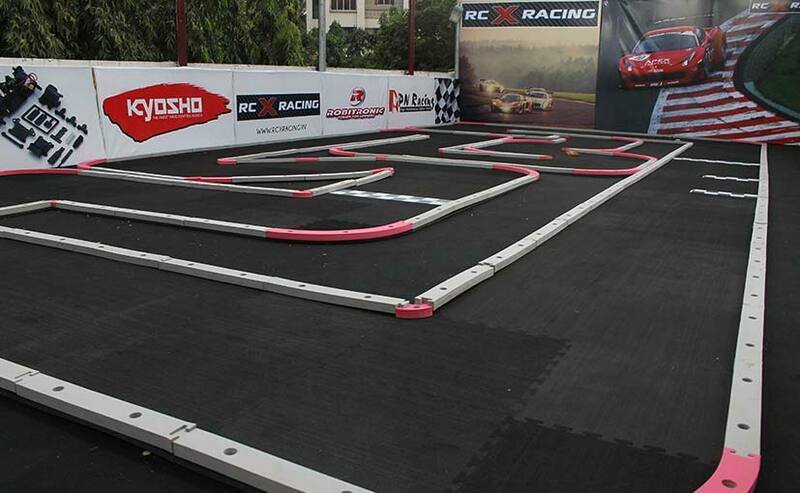 They recently launched a professional level RC Car racing arena in Bandra, Mumbai that is set to create a new milestone for this niche sport in India. Before becoming business partners, Ashwin and Karan were partners in many local RC Car tournaments. 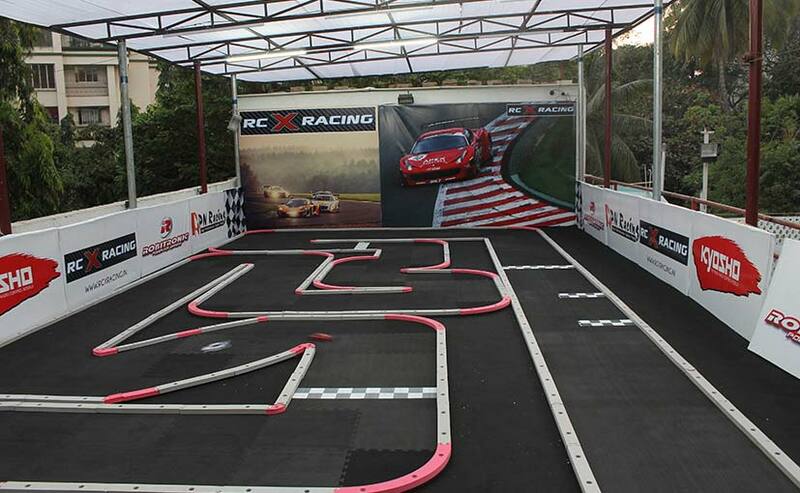 Their association began 8 years ago at an RC Cars track quite similar to the one they have built here and now with RC X Racing both of them are striving to provide a new platform to RC car aficionados in India. Ashwin Fernandes is the one who owns the establishment, a banquet hall that houses this 900 sq.ft. Race Track, built especially for RC cars. When asked about where the journey began, Ashwin said that his fascination for cars started at a very early age. "Well, my father used to go on his business trips and he always brought something for me and RC cars were part of those gifts. Soon, the fascination grew and so did the collection and when time came to choose a career I decided to turn my passion into my profession." He also said that "This hobby is treated as a sport in many countries; I can see it reaching the exposure cricket has in this country soon. I'd also rather have Kids these days spend time at the track, practising and racing, rather than getting themselves into wrong habits." Whereas Karan had only one thing to say "I want to see this hobby grow in India, that's my dream." Ashwin also mentioned that he was lucky enough to get immense support from his family that further fueled his determination to put India on the map of RC car racing. Ashwin, joined by Karan had a place and an idea to give birth to RC X Racing. What remained now were means to implement it, which came in the form of their supplier Kyosho. 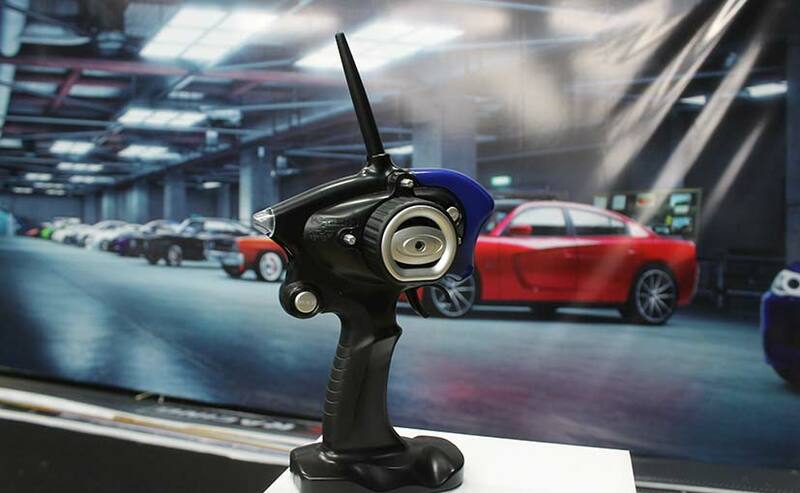 Kyosho Corporation is a popular Japanese model car manufacturer who is known for developing various radio-controlled devices. According to Ashwin and Karan, getting them on board was itself a major task, "It was a big battle as it was difficult to convince a reputed brand like Kyosho to indulge in a country where RC Racing is still at its extreme nascent stage. But we're glad we were able to convince them." We then asked them about the kind of investment that went into building this high grade racing track, to which they said that excluding the cost of the facility, it costed them about ₹ 10 Lakh. This includes the cost of building the complete track, RC Cars, aftermarket upgrade parts and other equipment, customs and other taxes. Currently RC X Racing exclusively sells and distributes 1:27-scale electric radio-controlled cars manufactured by Kyosho and anyone who joins that club or wants to race on their track has to purchase the set and any other aftermarket equipment from RC X Racing, since they're exclusive dealers. This is in order to be able to sustain the track expenses and overheads. 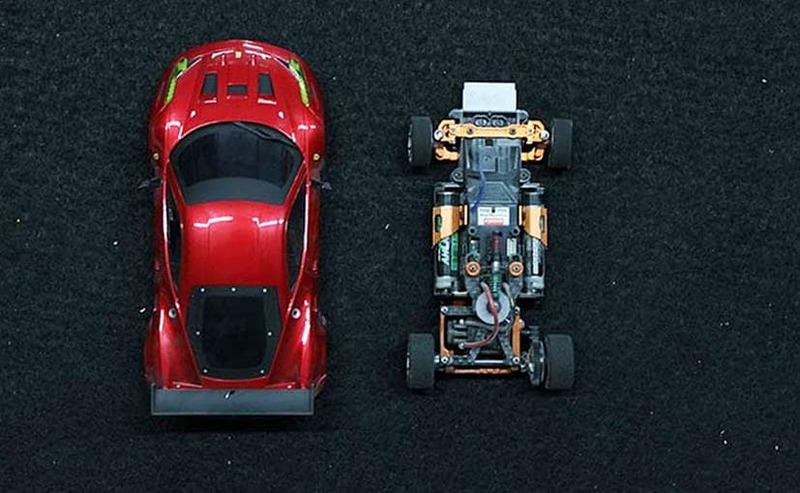 To explain a little bit about the cars, the RC Cars currently sold at RC X Racing are Mini-Z, a special range of 1:27-scale electric radio-controlled cars. These cars come sporting the body of some of the iconic supercars and sports cars like the McLaren P1, Ferrari LaFerrari and many others. Also, the Kyosho Mini Z RC cars come with bodies that are all highly detailed, realistic, and fully painted with high gloss paint. In fact the bodies are so realistic that many are collected as display models and the bodies come with a dummy chassis and wheels for display purposes. As mentioned earlier only cars and hop-up parts purchased through RC X Racing will be allowed to race on the track. 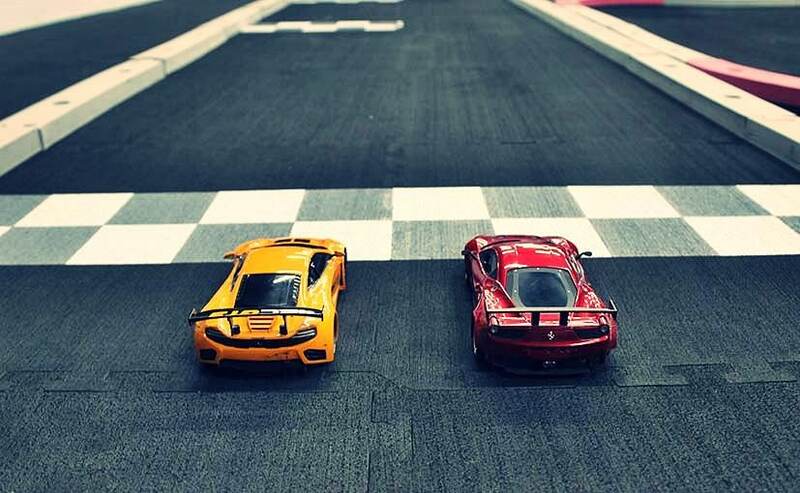 These RC cars are more than mere scale models or remote control cars. Each model comes loaded with real world technologies like active rear suspension, active differential, adjustable caster / camber and a 4-channel transmitter. 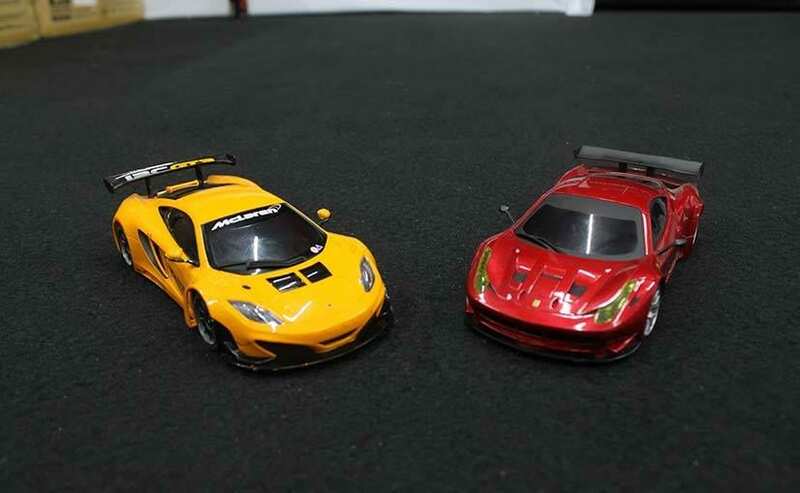 Moreover you can even upgrade these cars with additional parts to improve their performance, which also has to be purchased only from RC X Racing. In case you are planning to buy one from them then a stock model will cost you ₹ 12,499 and if the stock car's performance is not enough or you then you can buy an upgrade kit for rs. 4,500. 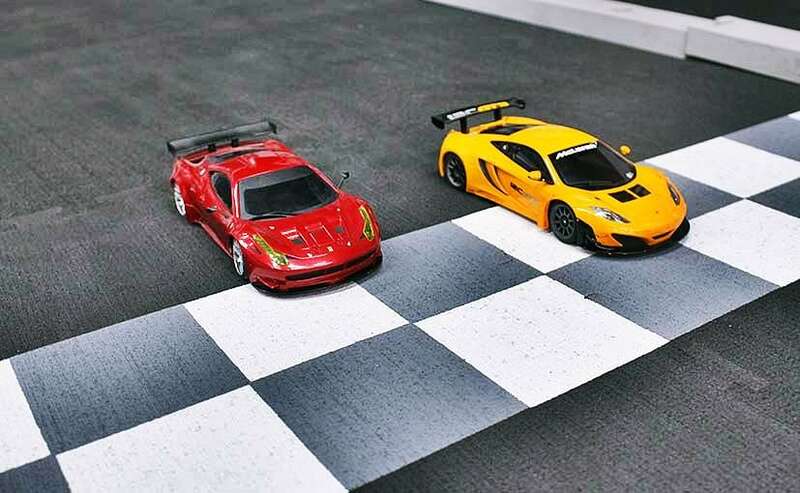 While despite of all these realistic features you couldn't really compare RC Car racing to real world racing, but surprisingly we saw many similarities too. One of the key things that you can associate with is the emotion that racers from both these worlds share. Apart from that you'll notice that the Mini-Z replicates somewhat the handling characteristics of the real car and follows the same key principles like getting the timing right, timely maintenance of your car and having the right judgement while turning into corners among others. Moreover as you are not actually behind the wheels manoeuvring become all the more challenging. Now you might be thinking, these are mere remote controlled cars so, how hard or competitive can they get. Well, a small session on this track will tell you how wrong you are. I myself had a go with the RC Cars when we visited RC X Racing, and believe me I couldn't even complete a lap without banging the RC Car at every corner. In fact manoeuvring an RC Car is so different from a real car is that most of the time I was simply going reverse, and mind you I was given a stock car with the most basic features. So as I said though it looks easy it's not that simple and for guys like me and young RC Car enthusiasts, RC X Racing will also be offering special training sessions. Of course these sessions will be chargeable on hourly or daily basis, based on the training required. Moreover RC X Racing will also provide a platform for enthusiasts who aspire to go into professional racing and might represent India in world championship. Ashwin and Karan also told us that, "We are not only creating a platform for hobbyist to pursue this on a professional level but also create multiple venues all across the country in the heard of major cities such as Delhi, Bangalore, Etc. Our first goal is to send a team of racers to participate in the World Cup this is possible only with proper practice on the world class track provided by us. For this we need to have qualifying rounds at different levels. Regional, interstate and national level. The guys at RC X Racing also mentioned that they are planning to replicate their tracks based on popular global circuits in order to make it all the more realistic.